In the age of easy photo editing I checked the best I could to make sure this wasn’t a spoof. Apparently it isn’t. This is what politics in the UK is reduced to – a mug’s game! Update – some asked how I knew this wasn’t a spoof. 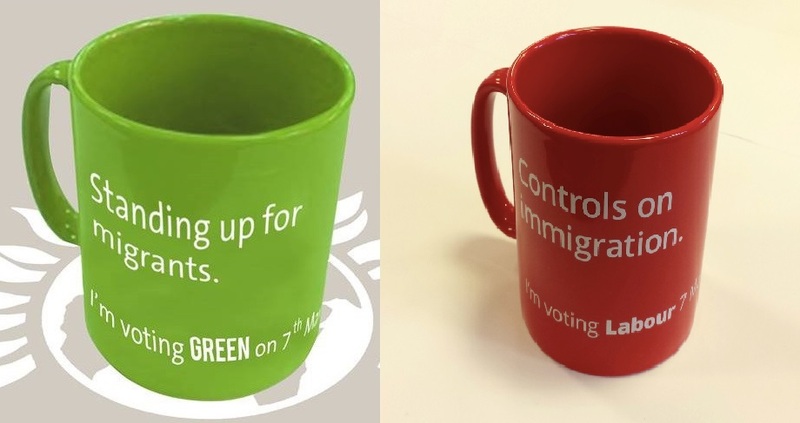 I don’t know for sure but they both seem to have the product up on their websites (you can purchase either mug from here (Labour) or here (Green)) and I even asked a sitting (Lib Dem) MP (see here).